SolarSPELL is a Solar Powered Education Learning Library; an easy to use, solar-powered, offline digital library that was developed to overcome existing barriers to accessing educational resources. 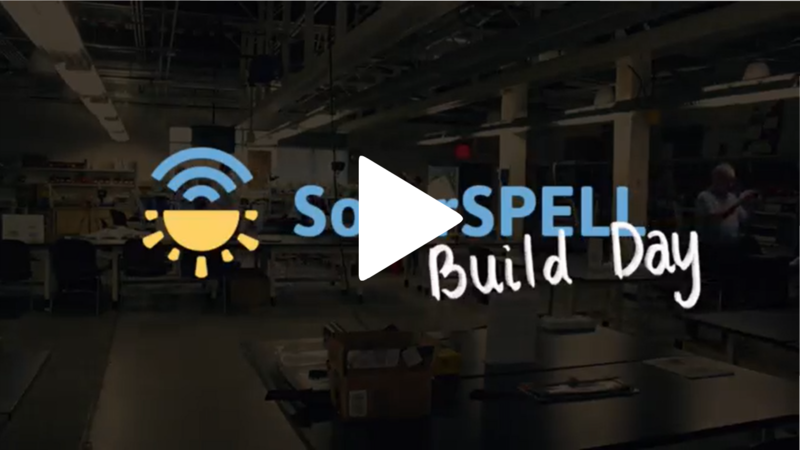 SolarSPELL generates an offline Wi-Fi hotspot, to which any Wi-Fi capable device (smartphones, tablets, or laptops) can connect, enabling students and teachers to surf the library's resources. In this capacity, SolarSPELL empowers resource-constrained communities with open-access content across a broad range of topics, from math to regionally-relevant subjects, for all ages. Our goal is to provide relevant, localized educational content to resource-constrained locations around the world and to promote individual and community-wide capacity building. SolarSPELL digital libraries are currently being used by schools, health clinics, and communities across the Pacific Islands (Vanuatu, Fiji, Samoa, Tonga, and Micronesia) and East Africa (Rwanda, Comoros, and South Sudan). Want to learn more about the SPELL?